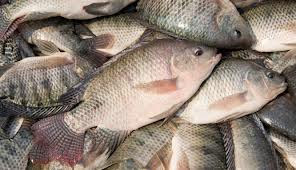 About 50 researchers, technicians and farmers working in Cuba will be involved in the breeding and fattening of tilapia in Cuba, NaijaAgroNet reports. The director, Base Business Unit (UEB ), Zenaida Arboleya, said this is a programme that seeks to achieve more efficient fish by breeding, which has a component of training and consulting services. The United Nations Food and Agriculture Organization (FAO) is about launch a freshwater fish breeding programme in Cuba. NaijaAgroNet learnt that the programme will include training and introduction to fish breeding, according to Carlos Pulgarín, an FAO officer in Panama, serving the Caribbean and Central America. He further said that the project is expected to begin this year in the Base Business Unit (UEB, in Spanish) El Dique, a part of the Company for the Development of Aquaculture Techniques, located in Loma de Tierra, in the municipality of Cotorro, Havana.